Objective: Play for the highest possible score using only one life and the difficulty settings defined in the challenge. Post a photo or video of your score in this thread. Scores must be achieved between March 1st through March 14th, 2019. Screen captures are not allowed as they are easily manipulated for falsified scores. Multiple submissions are permitted. The player with the highest score at the end of the competition is the victor! Difficulty Level: Default. There are no difficulty options for this game. Single Life Run: You are only allowed ONE LIFE to achieve your high score in this Squad Challenge. Message: Welcome to our 54th Squad Challenge! We're playing our first Game Boy Squad Challenge! 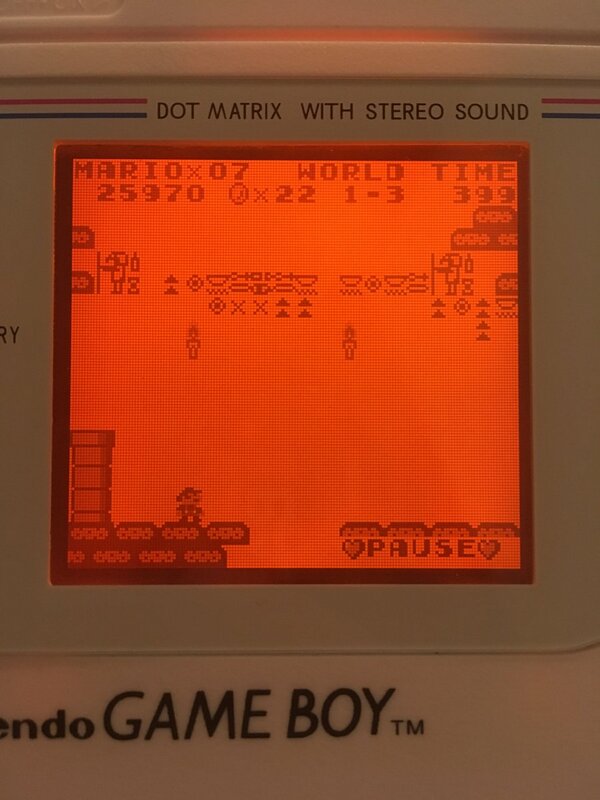 Super Mario Land is a Game Boy icon and arguably the first killer app for the system. How high can you score on just one life? PDF Super Mario Land Instruction Booklet is attached below. Good luck! NOTE: Our next Squad Challenge will post 3/15/19 and we will be playing our first ATARI ST game in a Squad Challenge. Get ready! This Squad Challenge allows ONE LIFE to achieve your high score. I love this game. Unfortunately I don't have the game. Finding the ROM will be almost impossible. I may sit this one out and wait for the next one. I did do a full run of this game but it was for another high score website. However, maybe the video can offer some assistance should others get stuck. It is NOT being offered as a high score attempt for this challenge. It's not a perfect run as I did die a few times. But the game was beaten in video (spoiler alert). The video was captured by a feature in the emulator I was using which was still in beta. Sounds are way behind the action on the screen (which annoys me). I no longer have the ROM or emulator due to a hardware crash long ago. My controller was a Madcatz XBOX controller connected to a PC by a modified cable. If I can get the game before the challenge ends I will post scores. Otherwise have fun everyone. This is easily a favorite. It's a well balanced game and the music is good, too! Hoping my Wii has this one loaded in it! If so I'm down! Playimg emulation via my Wii using a Wii-Mote. Not sure if its the emulation or how that game played on the GB but it plays clunky. I'm in. I should have a lot more free time since I'm recovering from shoulder surgery. And this is a simple game to play. I can't play really much of anything that requires button inputs similar to Kombat or anything like that. I don't have this game. It should be able to find a used cart, though. I'll see about getting it. 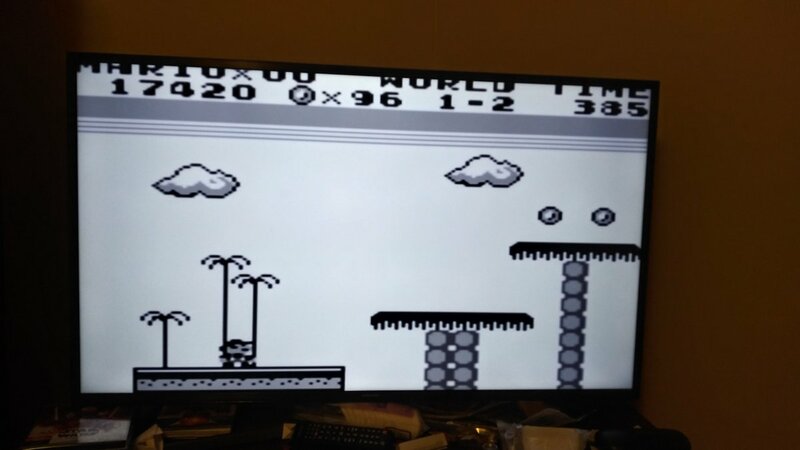 Hey I think this is new territory for most of us, playing Super Mario Land trying to get a high score using only a single life. Great to see you break the ice with a score! I stopped by my local used game store, but they didn't have this one. So, for the time being, I'm using... alternative methods. EDIT: I was using this emulator months ago to make maps of Super Hunchback via screenshots, and I had set some the sprites to show up as different colors. It just occurred to me that it might, in theory, give me an unfair advantage, so next time I'll set it back to the default. For those wanting to buy a physical copy of the game, I suggest this place. If you own a SNES and a Super GameBoy you should be set. 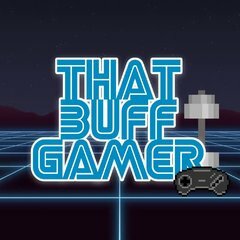 Can anyone using an emulator share their rom source? Original cart played on my modded dmg-01. I'm in business thanks to RP! Here's my first attempt in Visual Boy Advance with a Logitech F310 controller. The one life limit will make things interesting! Last one before heading to the office to play catch up. I switched from the analog sticks to the d-pad on my controller and it made a world of difference. Thanks to atarilbc I grabbed Visual Boy Advance but I still have to setup my XBOX controller as I'm using a computer I've never used my controller on. Might take a while but I played using just a computer keyboard...that was torture. I have a GBA so hopefully I can get this cart before the challenge ends. In the meantime, here's my first attempt. I was doing good until I ran into a stupid mushroom. Note to self...don't use the screen capture feature of the emulator...it crashes. I know it's not allowed but I thought I would try it for other reasons but it crashed the emulator LOL. I'm using the MESS emulator and a Sega Genesis controller. It works fine. But I need more practice on this game, which I have never played before. Love the music though. I remember Mom gifting me an Original Game Boy for Christmas when it came out. She found some sort of package deal from a local video rental store where it came with the unit, Super Mario Land, Tennis, and Baseball. I spent lots of hours with this game. When I finally beat it, which only took a few weeks, I was sort of disappointed how short the game was. But, the game is really good and keeps you wanting to play more no matter how many times you fail or beat it. It's a solid game for sure. Oh...how did you connect a Genny pad to a MESS emulator? I wonder if the same could be done using a 7800 Europad? Second attempt, still using a keyboard but with a much improved score. I'm sort of getting use to the keyboard. Yea...right. I was trying to jump between the pipes at the beginning of 1-3 and hit the wrong key. Instead of jumping I ran...right off into oblivion. You can talk about the Lynx and Game Gear being better than the Game Boy all day long...but with games like this and Tetris, they really had no chance. It really was all about the software. I had a Game Gear. It wasn't bad as a machine but I really seen the similarities between it and the SMS right away. Lynx? I loved the Lynx II the moment I took one home. But the games I grabbed were Joust, and APB. Both were good but I believe I spent more time on Joust than APB. Joust was easier to see, the Lynx suffered from image ghosting making it hard to play APB. But, I agree, Game Boy dominated in the software department getting portable versions of NES favorites. It was a no brainer that immediately pushed the console to the top. Game Boy really had the handheld market conquered. It was hard to beat it. Even with games like Alleyway, Castlevania Adventures, Solar Strike, R.C. Pro-Am, Nemesis...the list goes on. Third-party support really did the console well. Although I have to admit that the software coming after a few years were going in the direction the NES was going...games based on then-popular TV franchises. Disney and WB cartoons were highlights but that DuckTales game on both NES and GB was really well done. Others, not so well in my opinion. Now that the handheld war is over, it's obvious to see that GB, GG, and Lynx were all going in different directions. Nintendo knew that software was where it was at, Sega had a hard time getting third-party support, and Atari had no clue but Lynx did get some arcade ports that no other console got. I also believe that it was the only system to ever receive S.T.U.N. Runner. I like all three but GB won it fairly. 15680. I stink. But I will keep trying. Well, I got back from the office and I'm at it again. I died due to a bad bounce early on but kept playing just to get used to the game. I finally gave up the ghost on World 3-1. Those boulders did a number on me! 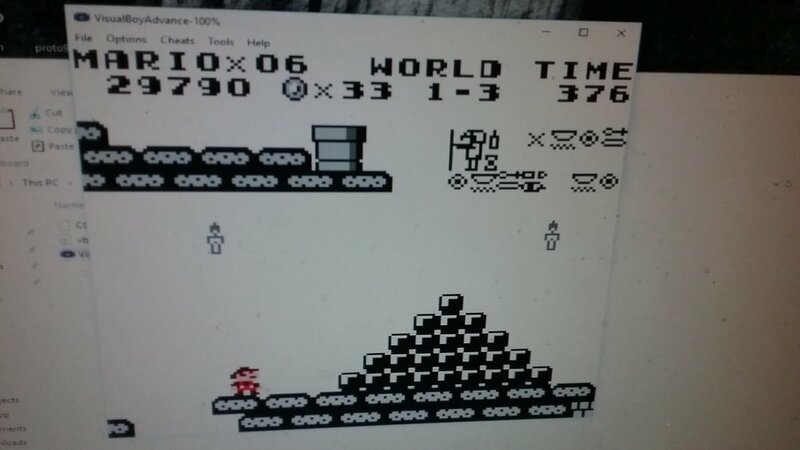 World 2-3 was a lot of fun. I wasn't expecting a side-scrolling shooter! Looking forward to trying again later this week! I didn't have a Game Boy growing up but I, of course, had friends that did. I don't remember playing this but I did play Link's Awakening. I'll agree with others that there was no beating Nintendo at that time in terms of software. Even today, their original IP is top notch. That said, I tend to like classic arcade games and for that the Lynx (Lynx II) is my hands-down favorite handheld. Joust, Ms. Pac-Man, Pac Land, STUN Runner, Klax, APB, XYBOTS, Xenophobe, Qix, Hydra and Roadblasters are among my favorites. I won't include Super Asteroids/Missile Command as those were updated versions of the originals. We're lucky Atari Corp. and Atari Games (Tengen) still had a decent working relationship or we may not have seen many of those!